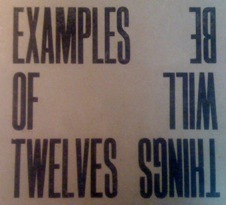 With two cult albums, The Way Things Were and The Way Things Are, composer-bassist Riaan Vosloo has created a moody, idiosyncratic soundworld all his own under the name Examples of Twelves. It is simultaneously futuristic and retro, wrangling electronics, improv, beats and swing within a contemporary jazz framework. His live sextet features three horns and two drummers, playing acoustic and electronic sets. Horace Tapscott’s Desert Fairy Princess evokes the beatnik basement jazz of movies like A Bucket of Blood and All Night Long. Vosloo’s own pieces, with inspired ensemble writing, maintain the mood, and the high bass lines of Part 3 of The Way Things Were tug the heartstrings. With no piano nor guitar, the compositional and improvisational nuances are easy to hear. Free Spirits, by Mary Lou Williams, and a strident, thundering version of Sun Ra’s A Call for All Demons broaden the 60s jazz palette. Tenor saxist Mark Hanslip shines on the former, while Fulvio Sigurtà is outstanding on trumpet and flugel. Vosloo’s The Way Things Are takes up all the second set. Sigurtà’s muted trumpet emerges, Miles-like, from the electronic heat-haze, while the two drummers create polyrhythms against Vosloo’s resonant bass. Delicate ensemble passages give way to intense solos, including Johnny Spall’s ferocious alto sax. Vosloo uses the remaining horns in conjunction with the laptop samples to create background textures and harmonies. Sigurtà makes good use of electronics, too, to process his searing trumpet lines. The band shift from abstraction to grooves with an accomplished ease that make Cinematic Orchestra’s live band sound like dabblers. If a nightclub band were ever needed for an extra-noir director’s cut of Blade Runner, Examples of Twelves would be it. 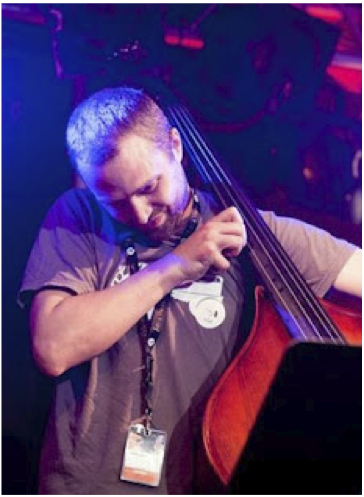 Riaan Vosloo… has concocted a peculiarly British take on 21st century jazz. Its shifting themes and moods touch on Neil Ardley-ish arrangements…He creates crushing, post-jungle breaks, with fat horn stabs and at least one gnarled trombone solo. All of which makes the quieter moments seem all the more mature and moving, with unobtrusive yet luxuriant string and horn arrangements providing velvety depth one moment, the next painting delicate, elegiac colors like a rainy Northern sky. Its a classy statement from one to watch.